Beautifully framed with black molding and conservation glass. 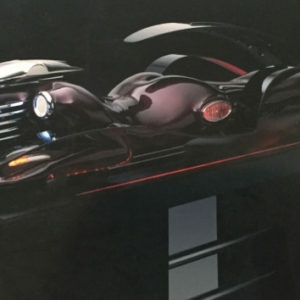 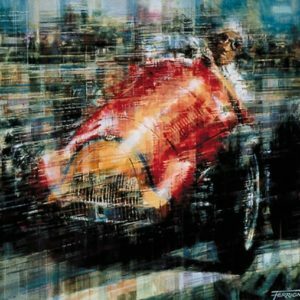 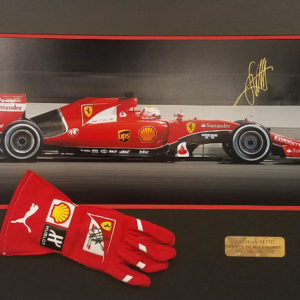 This double matted photo featuring Vettel piloting the 2015 Formula One car “2015 Full Speed”. 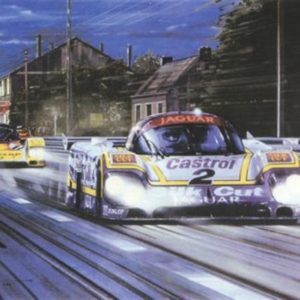 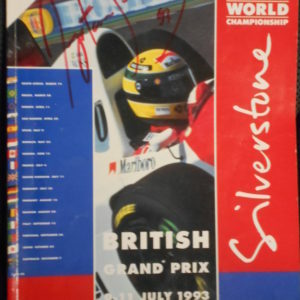 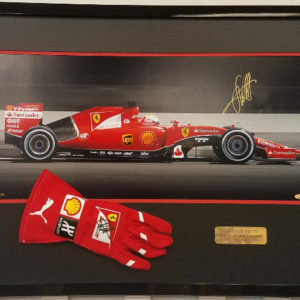 Prominently autographed is Vettel’s signature in gold to the top right of the car. 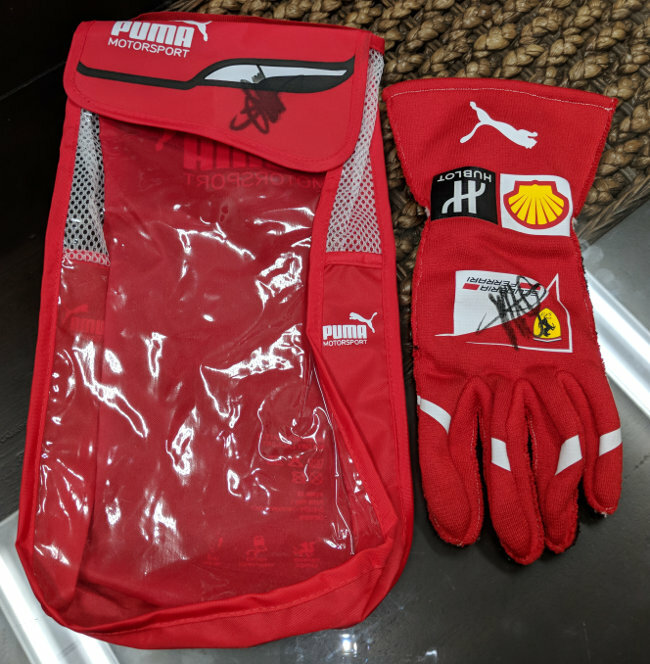 What is more exciting is Sebastian Vettel’s Puma worn racing glove is autographed in black sharpie and is included in the presentation. Sebastian used this glove while testing at Barcelona, Spain in 2017. This left hand glove is autographed in black sharpie on the Ferrari patch on the glove. 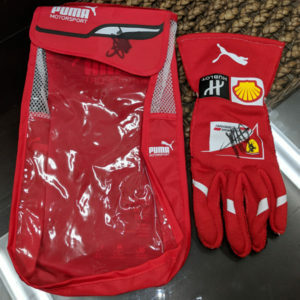 It is very difficult and rare to obtain a authentic worn Vettel glove. 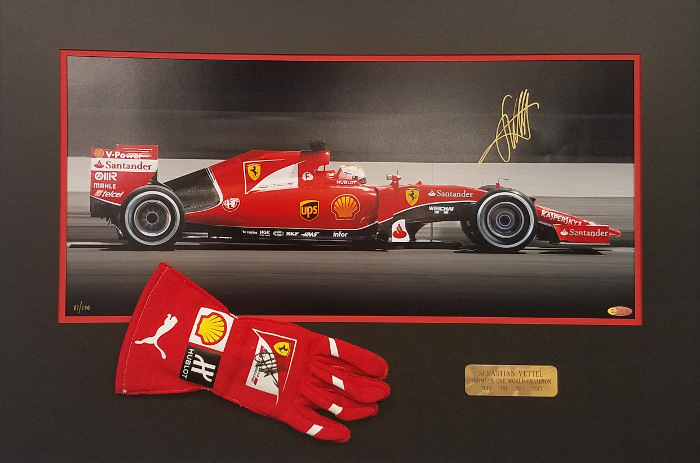 The Autographed glove and gold plaque will be opposite what is pictured here. 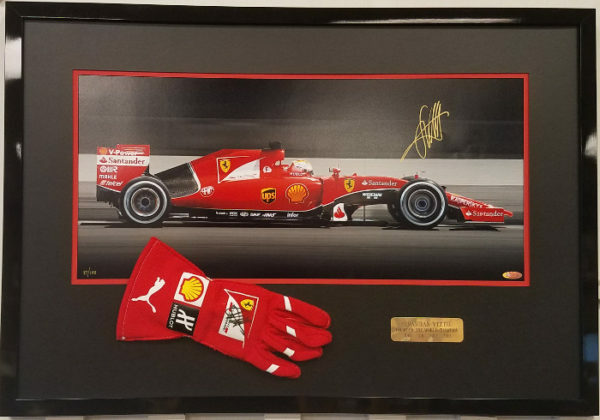 To the left of the glove is a gold plaque that reads “Sebastian Vettel, Formula One World Champion 2010, 2011, 2012, 2013”. 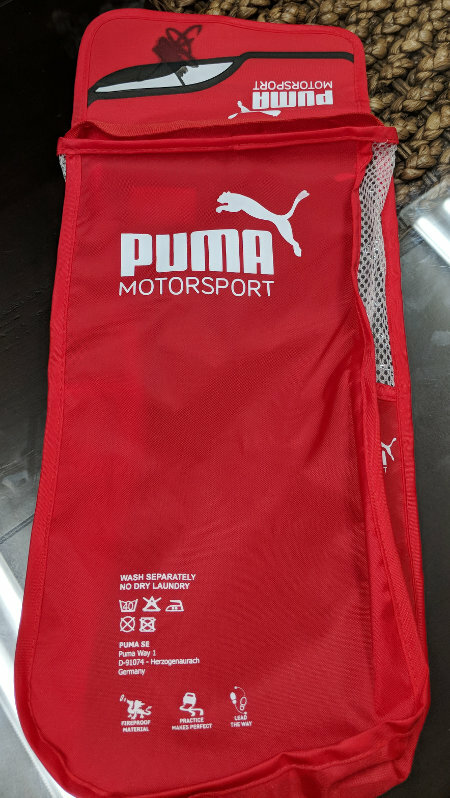 Bonus with this offering: We are including the PUMA glove pouch that this left hand glove originally came in. 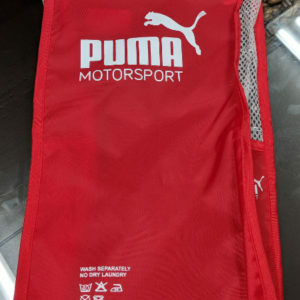 The pouch is also autographed by Sebastian Vettel and comes with COA. 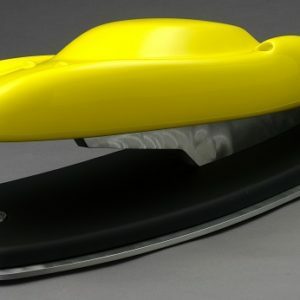 This is a stunning presentation that you will only find here. 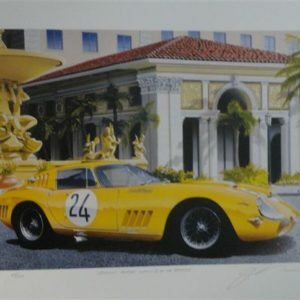 Specially offered at $4,295 plus buyer will pay exact Shipping & Handling. 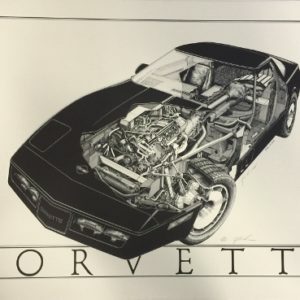 Included are Certificate of Authenticity’s for each autograph.